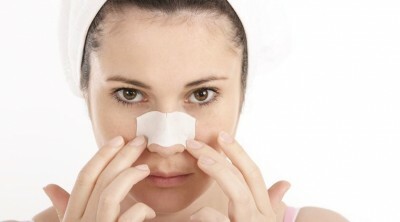 There are many who are disturbed with blackheads on their face and visits parlor occasionally to remove them. But that’s not the right attitude because you can get rid of them by using few natural remedies at your home. Blackheads are those small bumps that appear on face when hair follicles are blocked with impurities like dirt, oil and dead skin cells. Those usually happen on face, nose, chin, shoulders, chest and back. But they can also be cured naturally like other skin related issues. You can keep your free from blackheads and clear by using egg whites and cinnamon. Cinnamon: you can halt the growth of bacteria and fungi on your body through the aromatic face mask of cinnamon as it contains anti-bacterial properties. Apart from eliminating acne and blister skin, it can give a smooth and glowing complexion to the body. Baking soda: Apart from baking and good smell, baking soda is also alkaline which helps neutralizing the pH imbalance on skin which is the main cause of acne. You can also reduce pimples size through it as it has mild antiseptic and anti-inflammatory properties. Egg whites: Egg whites have several benefits for skin. They provide skin toning and prevent wrinkles on skin as they are rich in albumin and other proteins. They tighten the skin and reduce sebum secreting pores due to which they are good for oily skin. This process ends impurities inside the pores. Honey: Honey can remove blackheads by purifying pores from impurities while it is the best option for acne related blackheads as they have several antibacterial and antiseptic properties. This natural antibiotic clears the complexion by hydrating the pores. Green tea: You can get a smooth skin through this natural wonder as it detoxifies you. It provides protection from future harm after reduces irritation and oil on skin. Green tea also acts on free radicals and thus protects against sun damage. The appearance of signs of aging on skin is reduced by polyphenols present in the skin.